« ShopBack: Better savings with online shopping deals and cashback! Which part of your body do you dislike the most? My answer would be my ugly hands! I admit, I am born with the most unfeminine boney hands that will never be casted as a hand model. My mother agrees. I was doing some research on how to improve on the hydration of my facial skin for my wedding. And a friend of mine told me about Restylane’s Skinboosters ,also known as 水光针 in Asia. 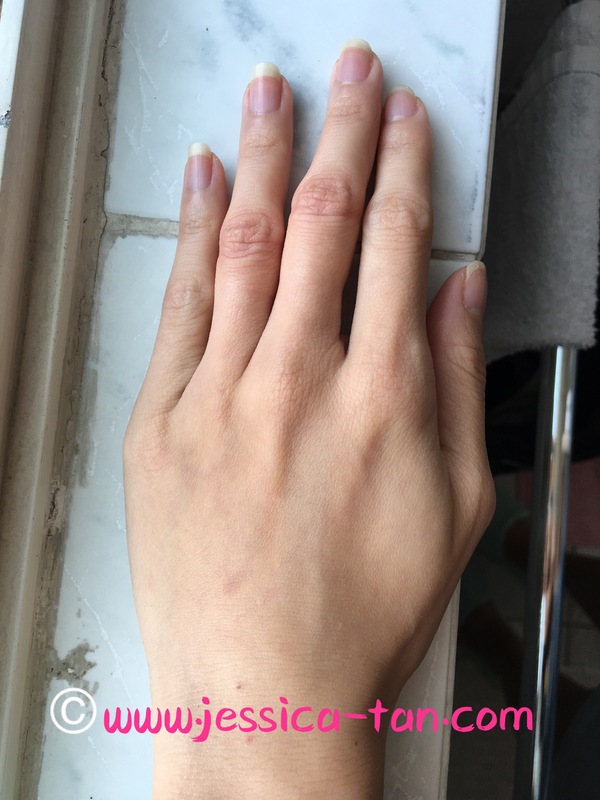 Whilst surfing Restylane’s website, I chanced upon before/after photos of a patient’s hands using the same Skinboosters to improve the outlook of her hands! 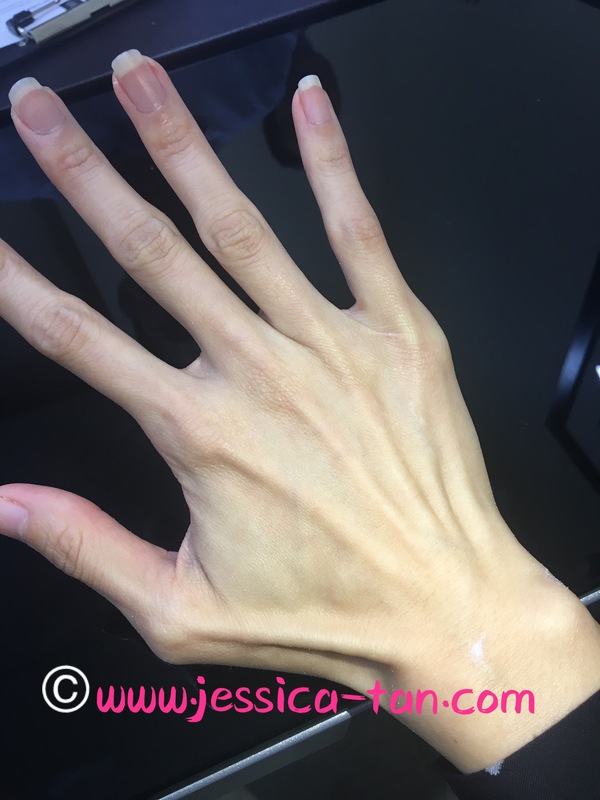 Honestly, I never knew that you could use hyaluronic acid fillers to make a boney hand less boney looking! In my mind, the use of fillers has always been used for changing the shape of the nose, lips, cheeks and chin to enhance certain features on the face. The function of Restylane’s Skinboosters is used to improve the general skin quality of the face, neck, hands and even acne-scarred skin by applying microinjections of stabilised hyaluronic acid (HA) into the skin to boost up moisture levels from inside your body. Stabilised HA is a moisture loving gel-like substance that absorbs water. Therefore, once its injected into your skin, it will bring deep skin hydration to treated areas and improve the smoothness, elasticity and firm up the area. Generally, people use this treatment on their whole face to make their skin brighter and more radiant. 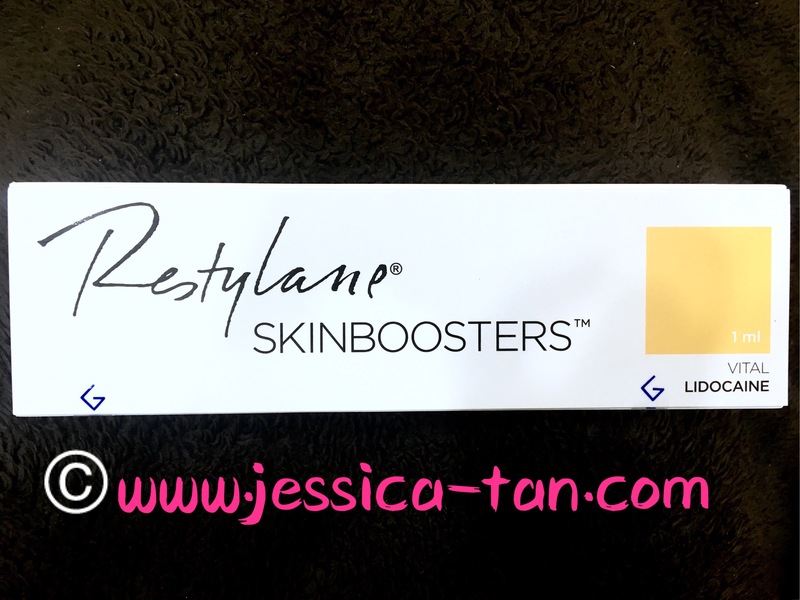 I went down to a reputable aesthetic clinic See Aesthetics & Medical Clinic, that uses Restylane Skinboosters, to treat my hands. I specifically wanted to only use Restylane’s Skinboosters as they’re the original creators of 水光针 and it received the Red Dot Design award for their smart click system enabling doctors to accurately administer 0.1ml of HA into the skin with each click minimising doctor’s error. There’s a lot of other brands in the market like Juvederm, Korean brands, Filorga, etc. however, Restylane is a more reputable brand that has been in the market for 20 years. Over 28 million treatments using Restylane has been administered worldwide and they are the first HA fillers to be approved by FDA. Naturally I would want the best product to be injected into my skin and not opt for a cheaper alternative since I always believe in 一分钱一分货(you pay for what you get). I’ve friends who went overseas for cheaper filler treatments, but they commented that it doesn’t last very long nor see great effects. In addition, I’ve been following this US reality show Botched, and have seen how people wanted cheaper treatments and went to Tijuana, Mexico, coming back with horrible outcomes and I do not want to be a botched job! I consulted Dr. See regarding my hands and he felt that I am a suitable candidate to undergo the treatment but he did warn me that there might a some bruising as hands are quite vascular (I did my treatment on 23 November, so there’s ample time for healing before the wedding) . He used the cannula method which is a long rounded blunt head needle to inject Skinbooster under the skin of my hand, it looked really freaky seeing a needle like thing going under your skin and poking out but yet not piercing through the skin. It’s much safer using this method as it won’t accidentally inject fillers into the blood vessels and cause any blockage. To be honest, it felt slightly uncomfortable, but not painful, looking at it looks a lot more painful than it actually is and I felt faintish from looking at it! But all is worth it as the results is incredible as you can see from the photo! I am so pleased with the immediate results! When I got home and showed my mum my “new hands” she was very happy and said I should have done this treatment earlier! *lol* The small needle holes didn’t bother me as I know it will go away pretty fast and I didn’t incur any bruising. It’s just like drawing blood from my hands, in fact I remember bruising more when I drew blood. Dr. See was very meticulous and ensured that no vessels were injured and I would incur minimal to no bruising. One more week to the big day and I’m all ready!